The proofs are in! 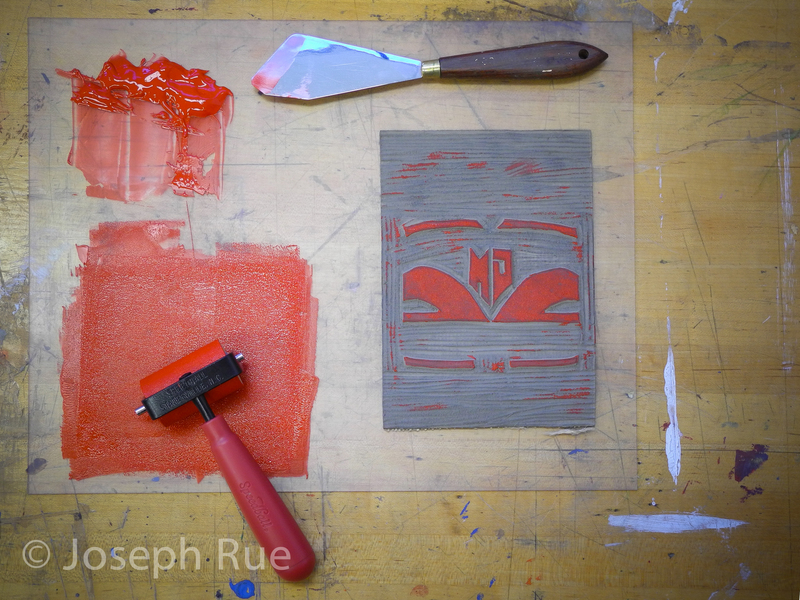 Or at least the proofs from the second linoleum block. I finished up carving it a few days ago, and printed four proofs from it this afternoon. Looking ahead, the next step is to print block one on top of the new proofs. The dilemma with this is that I will have to conquer registration, which is the process of aligning block one with what has already been completed so that the two-color image lines up as intended. I am planning to try several different methods of alignment. The first is simply going at it by eye, but I’m worried that this won’t be precise enough. Another option is to build a registration board, which will be much more repeatable. Moving into the next week, I hope to begin printing the final version of the linoleum print and maybe even have the opportunity to play with color. This entry was posted in Visual and Performing Arts and tagged westtown school on November 8, 2015 by josephr475. This is an awesome picture Joseph. Your work looks professional however, I am not surprised as we had wood-shop together last year. I am excited to see how this progresses. Good luck with conquering registration. It has been really exciting to see your work progress this term. While I knew you were mechanically talented from so many years of Robotics with you, I had no idea you had such artistic talent. Really fantastic work!